Elite Lacrosse Tournaments is proud to announce we are coming back for year 3 of the Pacific Open Lacrosse Championships. 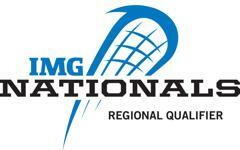 This exciting new event will be one of only 2 IMG Qualifiers on the west coast for 2018. Strong competition and well run events are the cornerstone of IMG Qualifiers and the Pacific Open is growing into the next great event in the Elite Tourneys lineup of IMG Qualifiers.